I was going to post this story on Google+, but there probably isn't much point: I'd get more traffic writing it on my backside and mooning people from the bus. As the Wall Street Journal reports, people are spending an average of three minutes per month on the service. Three minutes a month doesn't sound like much, and it isn't: I spend more time than that picking fluff out of my belly button, feeling nostalgic about The Wonder Years or concocting filthy fantasies about celebrities. In social networking terms it's nothing: where Google+ users barely break the 3-minute mark, Facebook users are on for six or seven hours. The problem isn't that Google+ is a bad service. The problem is that Google+ isn't good enough. Here's an analogy. Imagine if Google decided to set up an awards ceremony for the film industry, put it in the diary for the same day as the Academy Awards and called it The Boscars. No matter how much cash Google chucked at it, nobody would turn up. It's a bit like that in social networking. In isolation, Google+ is perfectly decent - but it doesn't exist in isolation, because the best part of a billion people already use Facebook, many of them with a side order of Twitter. When Google+ launched, everybody I knew was on Facebook and/or Twitter. Now, despite increasingly desperate attempts to get people on Google+, everybody I know is still on Facebook and/or Twitter. The problem with Google+ isn't the technology, but the people using it. Like most people I signed up last summer, and like most people I've barely visited since: for me it's just more noise, with people auto-posting to Google+ the same links that they've already posted to - and that I've already seen on - Facebook, Twitter and their blogs. Sure, it does video chat, but so do stacks of chat programs and I don't use them either. 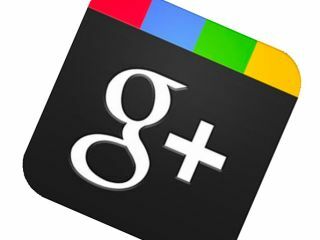 When Google+ works, it works very well: I know a number of people who think it's brilliant, and some of the more visible celebs find it useful and relatively non-spammy. But for most of the people I know, it's irrelevant: it's just another social networking site with no compelling reason to switch, let alone invest the time and effort involved in building a decent network. If you offer something new people will use it - look at the extraordinary growth of Pinterest, for example - but I fear Google+ is the Microsoft Network of social networking. Beating Facebook means building something compelling, not just launching Basefook.